Paperback copies of Frank Westworth’s debut crime-thriller are now available to order online, direct from the author and signed by him. Plus, to say THANKS for buying direct and supporting a new author, we’ll also send you a bonus ebook for FREE which features characters from the novel in a separate adventure. To order your signed copy — which can be personalised if you’d like a special message — please visit our eBay page where you can pay by PayPal. About the author: Frank Westworth shares several characteristics with JJ Stoner: they both play mean blues guitar and ride Harley-Davidson motorcycles. Unlike Stoner, Frank hasn’t deliberately killed anyone. Instead, he edits a classic motorcycle magazine and has written extensively for the UK motoring press. Delivery details: we aim to despatch your order within 48hrs. Books are normally sent Royal Mail 2nd class. If you would like worldwide or faster delivery please let us know and we’ll do our best to oblige. 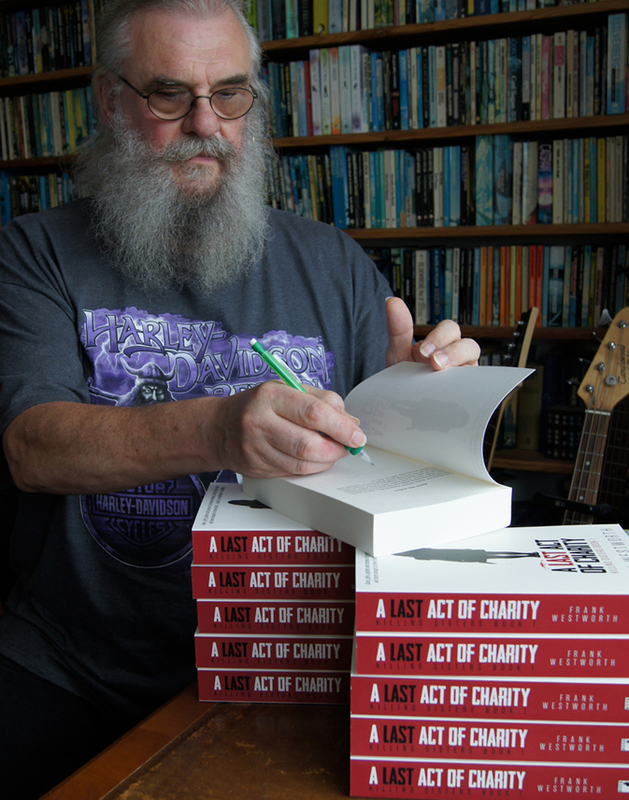 Signed paperback copies available now on eBay.